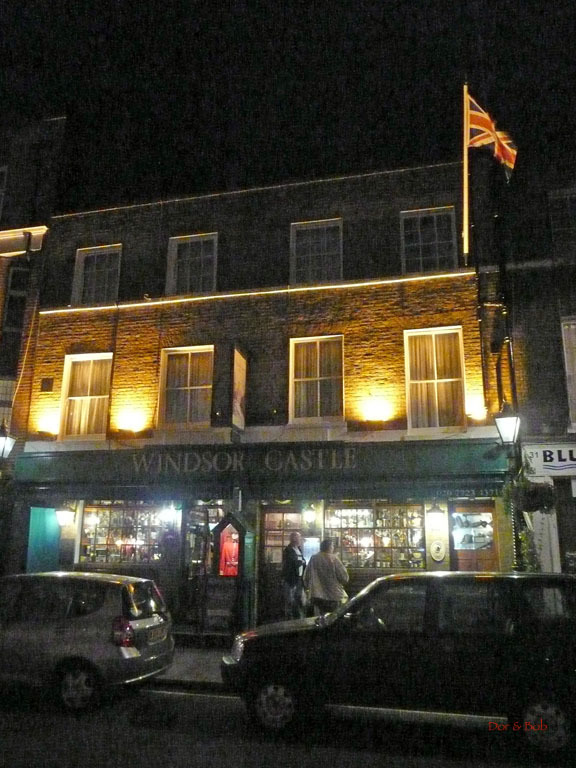 The Windsor Castle has a roughly circular bar that divides the place into two halves. There must have been even more of a division in the past, given that there are two front doors nearly side-by-side. Fabric bench seats and chairs provide the seating for the varied wooden tables. 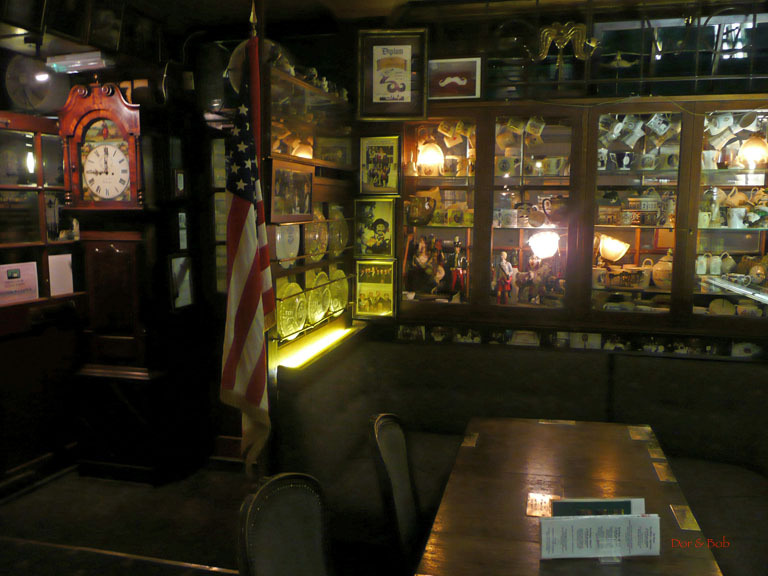 The most distinctive aspect of the pub, beyond the Victorian styling, is the interesting collection of old (and dusty!) 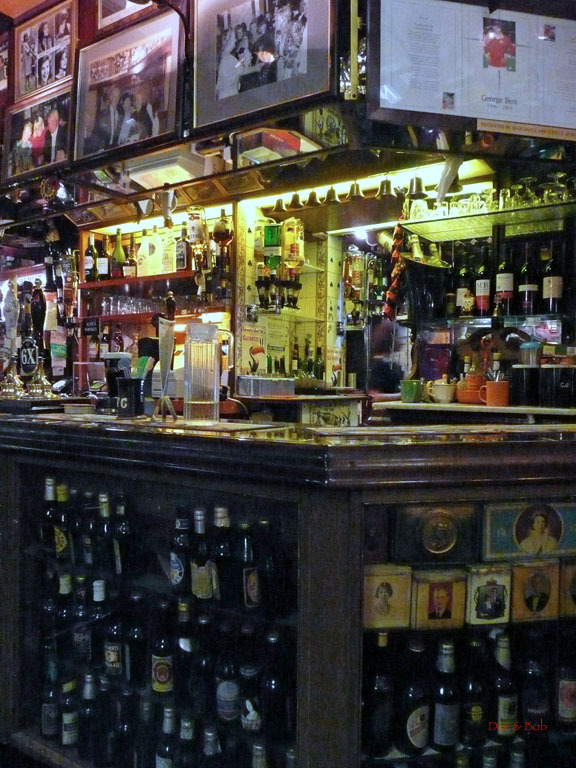 beer bottles in display cases that line the base of the bar and some of the walls. Some still have beer in them! Some examples: Duchesse de Bourgogne, Harrods's 1849 Lager, ancient looking Hardyâ€™s Ale, Greene King Royal Wedding Ale (1981). All kinds of other knickknacks decorate ceilings, walls, and corners such as tea cups and mugs in one front window, photos of the queen mother, the ceiling of one section covered with commemorative plates with members of the royal family. 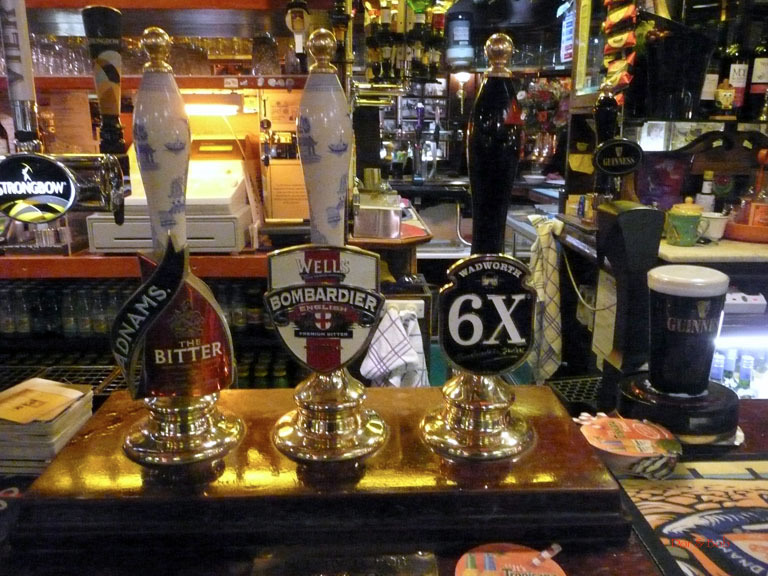 There were three real ales available; we had the Wadworth 6X. Food is Thai and it smelled good but we didnâ€™t try anything.